MATERIAL and SIZE - %100 White Glossy Ceramic. Size: 3.6" H & 3.2" W. Highly unique. Versatile. FUN. FEATURES - Wrap-around printed art on premium quality ceramic and a rubber stopper on the bottom. 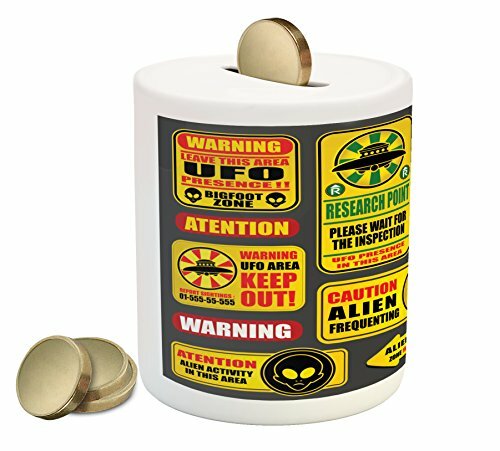 DESIGNER ARTWORK - This coin bank will encourage and motivate any kid and adult to save money!